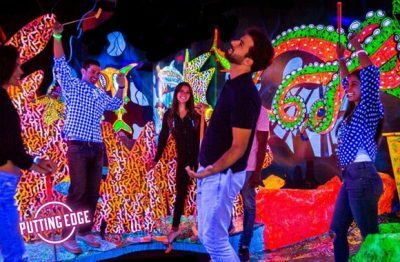 We all appreciate the joys of a round of indoor miniature golf with friends, family or colleagues, but imagine living this experience under black lights! Putting Edge offers a unique 18-hole mini golf course where fluorescent colors will amaze your eyes. Walk into an incredible kaleidoscope of dazzling colors, while demonstrating your mini golf skills. Everything glows in the dark: the captivating miniature golf course, the setting’s elements, and even the golf balls. Tuango has the perfect offer for a unique, memorable outing with the people that matter!